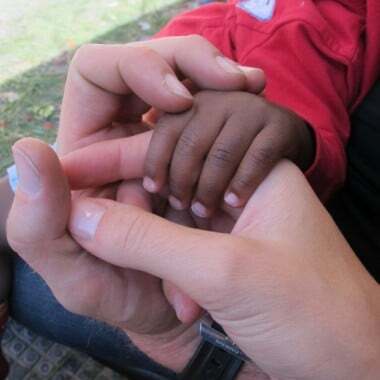 OPINION: Children in orphanages need overseas adoption. As an adoptive mother, I would like to respond to Amy Stockwell’s November 17 article, “You can’t change poverty one adoption at a time”, in order to portray another side of the story, to highlight the constructive things adoptive parents are doing for their children, so as not to damage the positivity we try to project for our kids. I agree that you cannot change poverty through adoption but that is not the purpose or intent of adoption. Like many adoptive parents, I chose to adopt my two daughters in order to give them a loving family and a stable environment in which to thrive. My daughters were willingly given up by their Cambodian birth families, who were unable to care for them, as is the case in many developing countries. So we shouldn’t compare internationally adopted children to the Stolen Generation – they are not forced adoptions. While I recognise that child-trafficking is an important issue, most internationally adopted babies are not stolen or sold; there are government checks in place to prevent that. A lot of children come to their birth families as unwanted additions to an already stressed family unit, not as planned family extensions. They may not be real ‘orphans’, but they are social orphans. While poverty certainly plays a role in many adoptions, and there is great need to address poverty on a global scale, it will take many years to achieve any lasting results. What happens to the millions of children in the meantime who are subjected to lives in orphanages? Should they be deprived of a loving family, an education, and medical care? Should they remain in institutions to suffer nutritionally, developmentally and emotionally? Should they stay in overcrowded, understaffed, unhygienic buildings where there is no love, no laughter, and there are no toys, where they can be victims of violence and sexual abuse? I have visited orphanages in developing countries and they are deathly quiet homes full of desperate children. Is it such a sin for a foreign couple to welcome one of these children into their family via adoption? If goals to eradicate poverty are achieved, there will undoubtedly be less children living in institutions who are available for adoption. That would be a positive outcome. But it’s not just poverty that plays a hand in unwanted children. Many developing countries have cultural traditions and mind-sets that result in unwanted babies. Unwed mothers can be disowned and shunned. Female discrimination equals unwanted girl babies. The list goes on. While we’re trying to eradicate poverty, let’s also work on the equally important need to change cultural attitudes so that fewer babies are given up for adoption. In the meantime, in an imperfect world, there are still children living in orphanages who need families to care for them. You can spend all the money you want on “addressing poverty in these countries, in strengthening child protection systems, in improving education and health outcomes” but it doesn’t change the current situation of institutionalised children. While I appreciate such philanthropic ideals, many of them are unrealistic in the short-term. Another factor of international adoption is that in many developing countries there are not enough locals who are able or willing to adopt children, for financial and cultural reasons, such as the stigma of failing to have biological children and the unwillingness to adopt across a cultural group. In many countries, such as India where I lived for several years, children available for adoption are offered to prospective Indian parents first, as should be the case. Foreigners can only adopt the children that Indians do not want, often the older children and ones with special needs. So, let’s not glamorize adoption just because celebrities grace the front pages of magazines with their adopted children. Foreigners often adopt children with disabilities, and children who are traumatized with emotional and medical issues. Inter-country adoption is often the “last resort for re-homing vulnerable children whose needs cannot be met elsewhere.” Let’s not paint international adoption in a negative light when people are offering children a better chance in life. While we’re at it, let’s not refer to adoption as a “family building service for people who want to have children but can’t through any other means.” I chose to adopt rather than do IVF, not only to create a family, but also to remove needy children from hopeless situations. People don’t always adopt purely because they cannot have biological children. There are many families who have biological children and then chose to adopt later on. People also don’t rip children from their birth countries for the sake of removing a child from its roots and culture. Many adoptive parents I know do their best to retain ties to their child’s history. I take my children back to Cambodia every year to visit their birth family. My children learn Khmer, and we celebrate Cambodian national holidays. While it may not be as ideal as them growing up in their birth country, that was unfortunately not an option for them. Furthermore, adoption is not an easy option. It is not the easy answer to infertility. Adoption is a drawn-out, bureaucratic process full of red tape, uncertainty, and hard work. And the Australian government’s plan to speed up the adoption process doesn’t necessarily equal child trafficking. Checks will remain in place. When I adopted my daughters the Australian government sent officers to their birth villages to corroborate their backgrounds, to guarantee that child trafficking did not take place. It then took nine months for the Australian government to even grant my youngest daughter an adoption visa, allowing her to step foot on Australian soil (a visitor visa was not even an option). For this reason, I don’t believe that the Australian government is going to drop its standards and protocol just because it chooses to increase efficiency. The ones who will benefit most from a bit more of government fast tracking are the children languishing in orphanages. And no adoptive parent I know thinks his or her child should be “grateful for being ‘rescued’”. We, the parents, are the grateful ones.